Avaya makes some of the best business phone systems available. From the latest-generation of advanced VoIP Avaya IP Office VoIP phone system to the reliable Partner® ACS system, to a complete selection of Avaya Definity PBX Expansion Circuit Packs, Interface Cards, etc., Telephone Magic sells Avaya at wholesale prices. 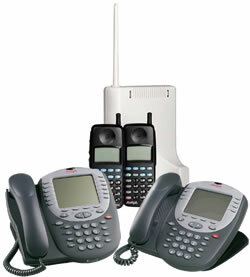 Ask us for a quote on your Avaya phone equipment requirements today! Avaya IP Office is redefining how business communicates. The Avaya IP Office Family is the latest advancement in converged voice and data technology from Avaya. IP Office combines high-end voice and data applications normally reserved for large enterprises with easy to use tools that allow the smallest of businesses to deliver cutting edge customer service. The Avaya IP Office family is designed to solve the complex communications challenges of the Home Office, Small Office and Medium Enterprise with simple yet powerful communications tools. Reliability, simplicity, a powerful selection of advanced telephony features and converged communications through "business ready" digital subscriber lines (DSLs) make PARTNER® Advanced Communications System a popular key system and a great choice for a small growing business. The right telephone is the key to simplifying communications and enhancing productivity. That's why a range of telephones are available with the Avaya Partner Advanced Communications System. From the intuitive layout of buttons and screens to the feel of the buttons as you push them, PARTNER phones are designed to help you and your employees work more efficiently. 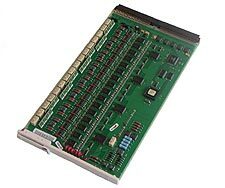 We carry an extensive list of Avaya Definity PBX Expansion Cards at wholesale prices. Below we have displayed some of the most popular cards from our available stock. If you do not see the card you are looking for here, please call us at 905-356-9199 for a quote! Even in the odd case where we do not have the card, circuit pack, or module you are looking for, we will quickly source it for you at the best possible price. While we do not specialize in selling new complete turn-key Avaya Definity systems, we can locate just about any individual Definity cabinet, card, part, or accessory. In other words, we are the Definity expansion experts as your PBX requirements grow. We offer our customers Avaya Definity PBX cards at significant savingswhen compared to buying hardware from local dealers. For current wholesale pricing on new and refurbished cards, call us for a quote. Carefully refurbished and tested using OEM specifications,we provide quality Avaya Definity equipment at a fraction of purchasing new. We inventory a complete list of added accessories, options, and upgrades for the Definity switches.